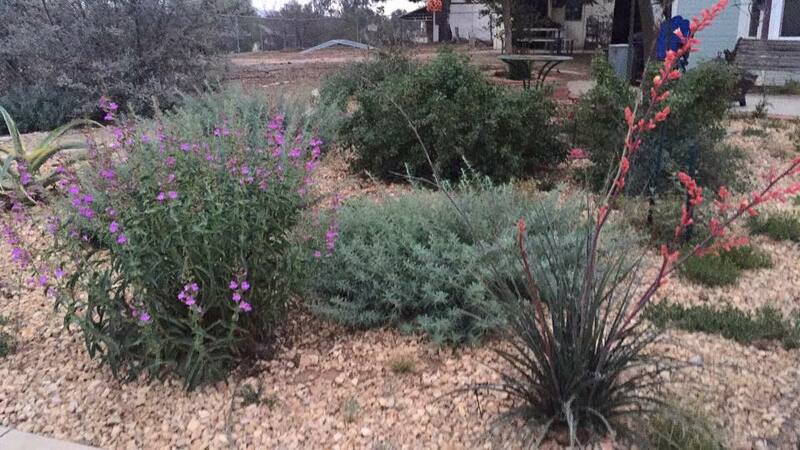 My first project was the pollinators garden, which is planted with California natives from chaparral and desert regions. When I was consulting with a landscape designer, I asked about the feasibility of naturalizing the acreage surrounding the house with wildflowers. She gave me a one-word answer, "goats." Then she explained that the best solution to my weed problem was to purchase a couple of goats. So, I did my research, decided that Nigerians were good pets, and made my first purchase. 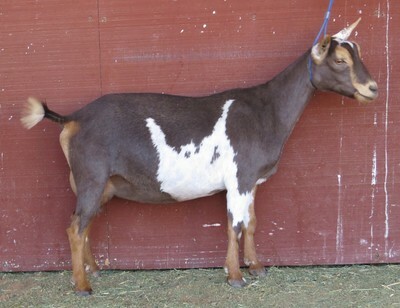 ​I began studying the genetic data available from the American Dairy Goat Association (ADGA). After years of frustration with show ring fads and the lack of performance data in the Arabian horse world, I was excited to discover an industry that took a scientific approach to herd improvement. I've had my share of false starts. In part because I needed to learn what mattered the most to me as a breeder, in part because I needed to learn more about Nigerian genetics. Unlike many standard breeds, only a very limited number of herds participated in both linear appraisal and milk test at the time. Many herds that were successful in the show ring didn't do either, or did them inconsistently. This made it difficult to make informed decisions. Consequently, each year I found myself disappointed during linear appraisal and milk test and had to make difficult rehoming decisions. Things changed in 2014. This was the year that I added Dill's BF Diamond Rio and SG Proctor Hill Farm Pistol Annie to the herd. 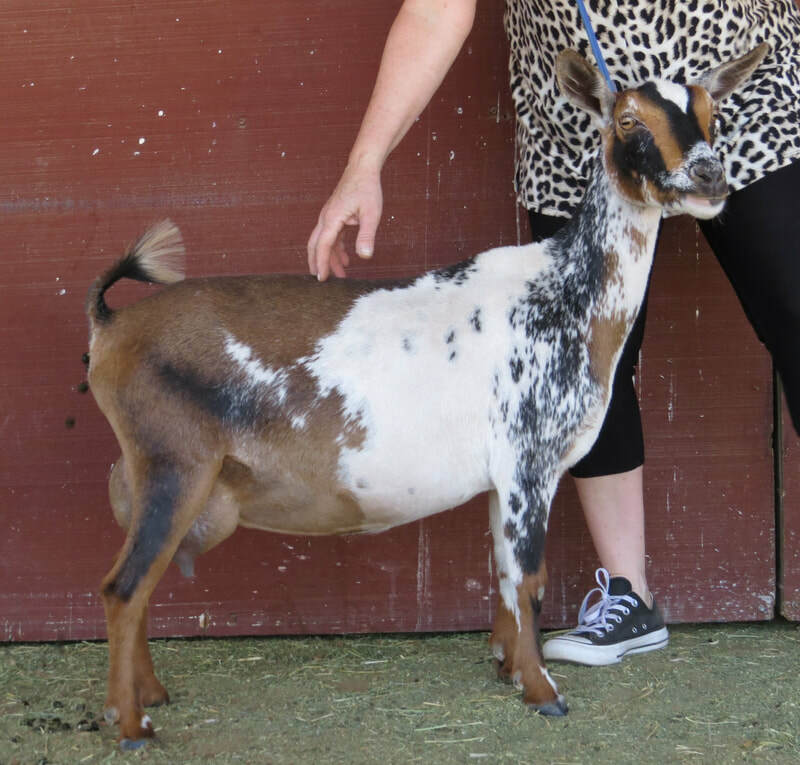 In 2015, their doeling Owlhaven DR Rowdy Rose was shown in a class of 22 kids, by an inexperienced handler, at the highly competitive Chino Show and placed second. 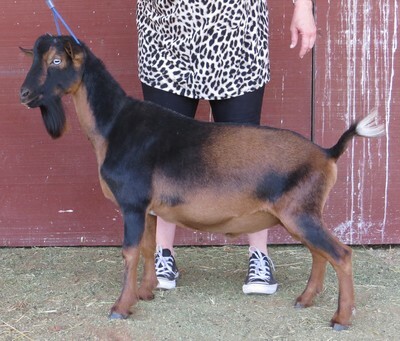 I was also rewarded by feedback from a breeder for whom I have tremendous respect, "Look at those beautiful legs! A bit open at point of elbow, but otherwise such a stunner!" I'm grateful that Rose's owner (at the time) decided to show her. It's not something that I was interested in doing at the time (for reasons I'll explain later), so if left to me, it wouldn't have happened. However, it gave me much-needed and unexpected encouragement. Rio's daughters began to freshen in 2015, and I knew that I had made the right decision. Rose's first freshening udder was gorgeous. Now I just had to wait for her to mature and build capacity. In December, the farm had a second breakthrough with the addition of SG +*B Algedi Farm MB Manuka Honey. 1. Owlhaven P Mystique received the USDA Elite Doe title for milk production in the top 5% for Nigerians. 2. 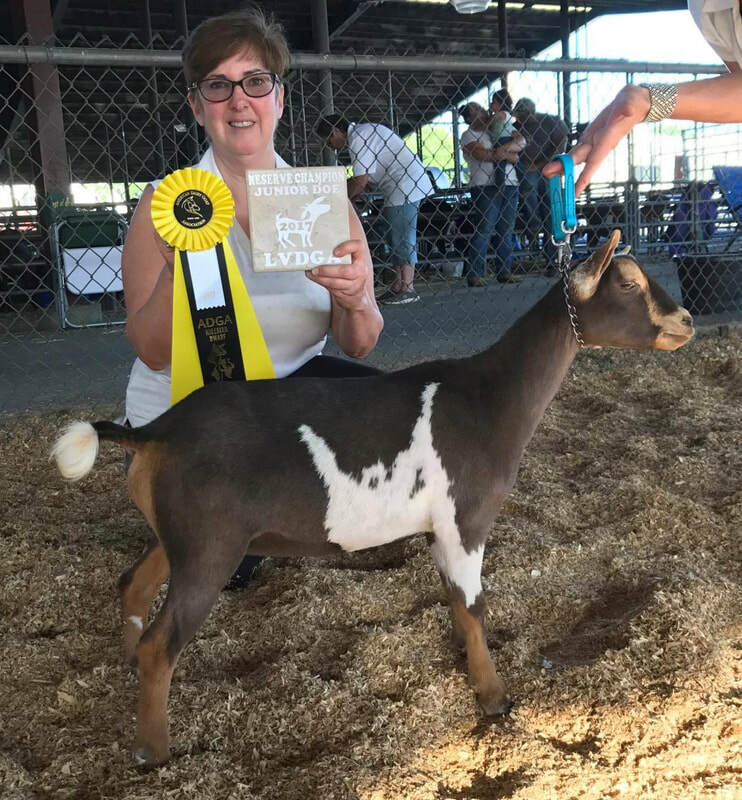 Proctor Hill Farm Pistol Annie received the "Superior Genetics" (SG) title from the American Dairy Goat Association for a combination of milk production and linear appraisal scores that places her in the top 15% in the nation. ​However, I was still reluctant to show. 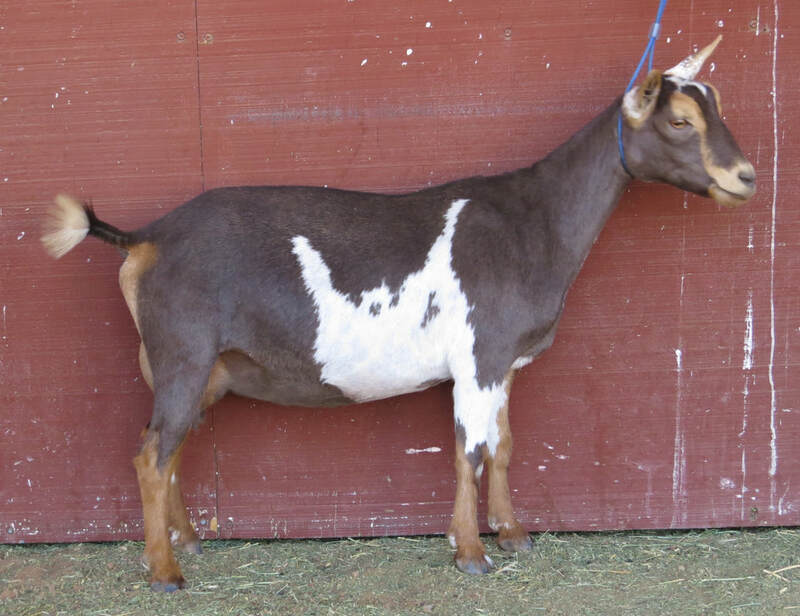 After my experiences in the Arabian industry, seeing how show ring fads negatively affected the usability of the horses, I have always been hesitant to show my goats. Over the years, I've discussed this with various appraisers, who have supported the idea that it is better to develop the herd based on performance program data first, then show. It was good advice for a young farm and it gave me a solid foundation. In 2017, it became clear that the herd had matured and was ready to enter the ring. In 2017 the farm had it's first small foray into the show ring, taking two bucks and three doelings. All placed within the top three in their classes. In the senior kid class, Owlhaven MH Sun Shower (first picture) and Owlhaven MH Buddleia (second picture) placed first and second, respectively, in two rings. 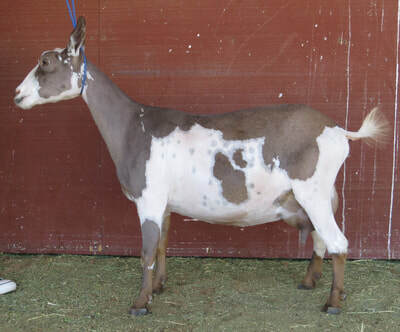 In the final ring Sunny fought her way around the ring, placing third, allowing Leia to move to first place and eventually win Reserve Grand Champion Junior Doe. The farm also received news that an Owlhaven bred buckling, Owlhaven MH Heat Wave was enrolled in the ADGA Young Sire Development Program. The program identified young bucks who have the greatest potential to improve the breed as a whole. He was the only Nigerian enrolled in the first quarter of 2017. The second Nigerian enrolled in 2017 is closely related to Owlhaven's sire *B Cedar View Placido. ​Finally, the farm hosted linear appraisal, with all senior does appraised going 88 and above and two senior does receiving final scores of 90 (excellent). 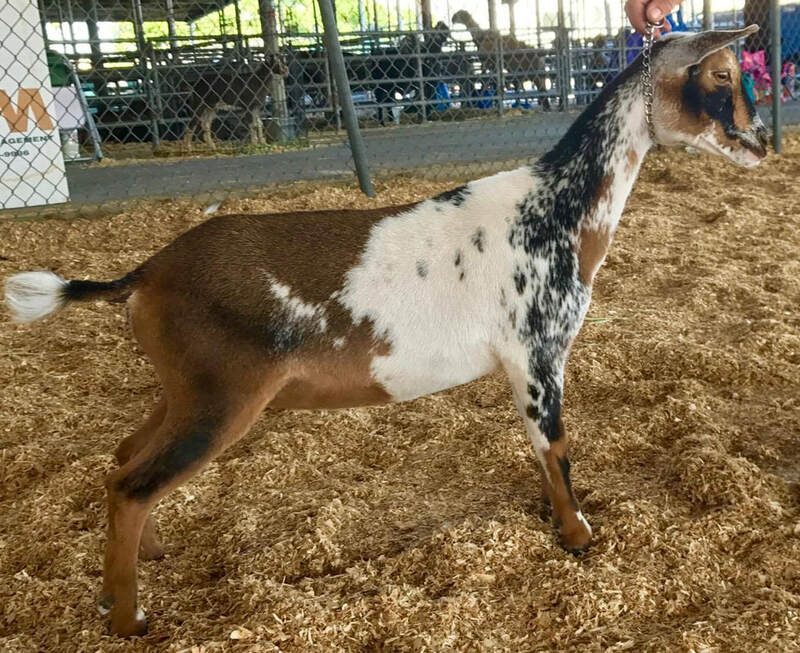 ​The appraiser encouraged me to enter the show ring, stating that Owlhaven goats were competitive with anything in the ring today, nationally. Castle Rock Ice Storm, dam of Owlhaven MH Sun Shower and Owlhaven MH Heat Wave. Our July 2018 Linear Appraisal was a huge success. Our appraiser was one of the most respected -- and rigorous -- appraisers in the industry. Seven goats were appraised. Two aged does earned final scores in the Excellent range: Dill's GA Fascination earned a score of 90 and Dill's GA Whiskey Lullaby earned the coveted final score of 91 EEEE, Excellent in all four of the major categories. In addition, our three Manuka Honey daughters (Sun Shower, Sugarland, and Buddleia) earned outstanding scores for yearling first fresheners: all scored in the 85 to 86 range, with no areas of concern. I expect them to score in the Excellent range once mature. Buddleia is second generation Owlhaven breeding. ​Of the bucklings appraised, Owlhaven R Ronin, a littermate sibling to Owlhaven R Misaki, scored VV+ 86, a great score for a 10 month old buck. The appraiser shared that he would have done even better if he were a bit more mature. Ronin and Misaki are second generation Owlhaven breeding. The other buckling had excellent genetics, but was not Owlhaven-bred. After consulting with my veterinarian, and numerous other breeders, I've decided to close the Owlhaven herd. 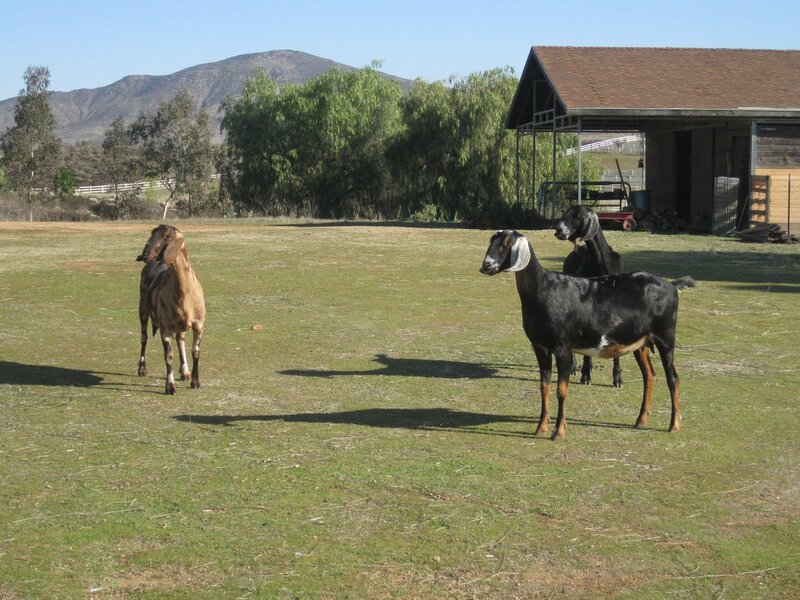 What that means is that I will not be adding outside goats to the herd, nor showing, to preserve herd health. However, I want to continue to support youth and will be providing incentives to qualified youth who wish to purchase Owlhaven animals. Qualifications include an established record of membership in FFA or 4-H, a record of showing for at least a year, and/or a record of participating in milk test and/or linear appraisal. The journey has been a long one. The herd has been eight years in development, but I am thrilled that today's Owlhaven herd is meeting my goals not only for milk production and linear appraisal, but also for show ring success!